Denver, CO (Restaurant News Release) Chipotle Mexican Grill is offering a special, one day, buy-one-get-one (BOGO) offer for students nationwide on Saturday, August 18 to celebrate back-to-school season. As part of the BOGO, students of all ages can receive a free burrito, burrito bowl, salad, order of tacos or a kids meal with the purchase of an entrée of equal or greater value. The BOGO may be redeemed via a digital order (online or in-app) and in-restaurant. While students do not need to show school ID for in-store orders, customers must request the BOGO deal at the register. Online customers can enter the code STUDENT to redeem their BOGO when placing an order for two or more qualifying menu items. The BOGO is valid for all students in-restaurant and via digital orders. There is a limit of one free entrée item per eligible student and one free entrée per order. Redemption requires the purchase of a qualifying entrée item of equal or greater value and is subject to availability. This offer may not be combined with other offers, discounts or coupons and is available in the United States only. For more information, visit Chipotle.com/student-BOGO. 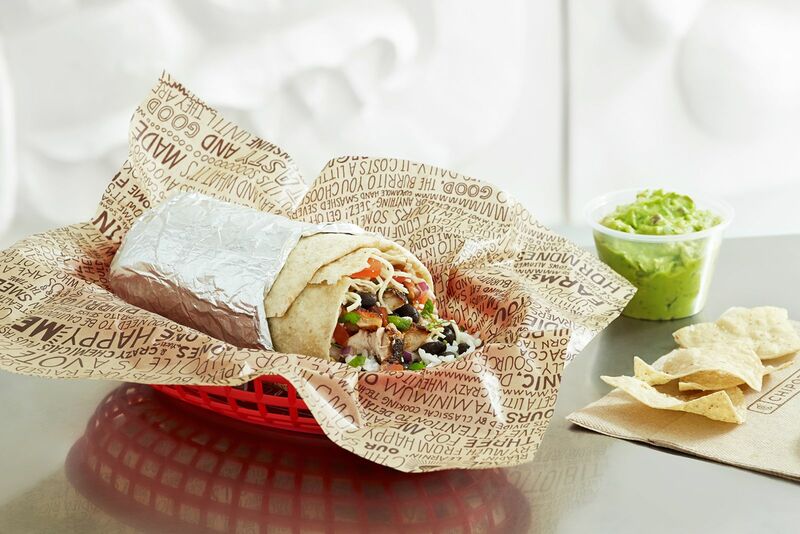 Chipotle Mexican Grill, Inc. (NYSE: CMG) is cultivating a better world by serving responsibly sourced, classically-cooked, real food with wholesome ingredients without added colors, flavors or other additives. Chipotle had more than 2,450 restaurants as of June 30, 2018 in the United States, Canada, the United Kingdom, France and Germany and is the only restaurant company of its size that owns and operates all its restaurants. With more than 70,000 employees passionate about providing a great guest experience, Chipotle is a longtime leader and innovator in the food industry. Chipotle is committed to making its food more accessible to everyone while continuing to be a brand with a demonstrated purpose as it leads the way in digital, technology and sustainable business practices. Steve Ells, founder and executive chairman, first opened Chipotle starting with a single restaurant in Denver, Colorado in 1993. For more information or to place an order online, visit Chipotle.com.